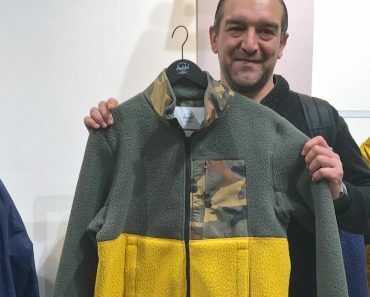 Another preview from LRG landed under my radar and I couldn’t be happier about it. From the Californian brand that wants to respect all cultures we have an item that will drop next Spring. I’m able to show you this short sleeve shirt courtesy of Nitro Distribution that takes care of this brand for Italian territory. 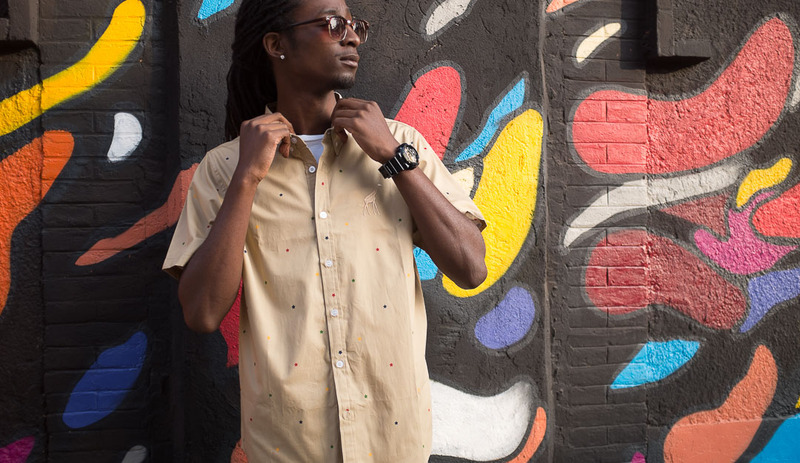 With a strong reference to Rastafarian movement whose colors are green yellow and red this shirt brings out the cut and sew side of LRG. 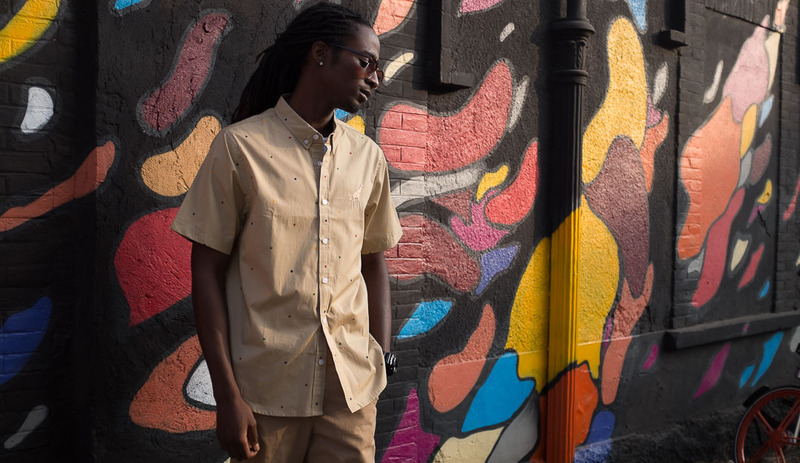 We saw another cut & sew item not long ago but this is on a whole different wavelength. If Jam Rock Jersey was more of a urban style, ready for the concrete jungle, this is more for the kings of the yard. Certified street lords that run the stage in front of never ending multitudes. You got it: it’s a rockstar item, reggae remix. 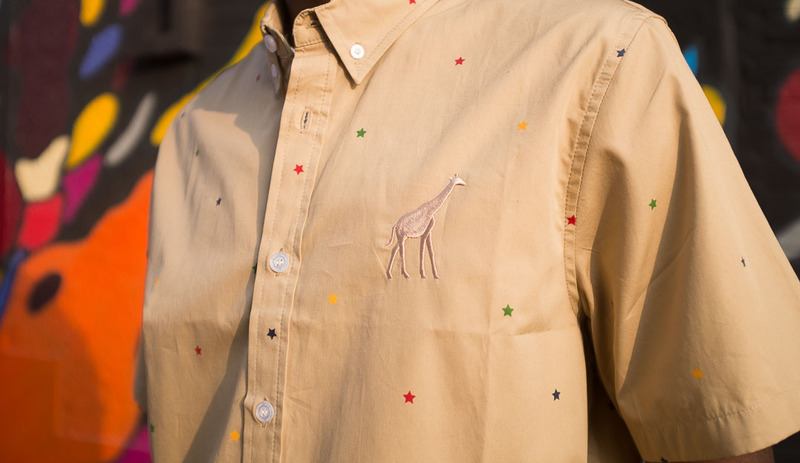 Its green, yellow and red stars on a khaki field have double value here: if on one side you are blessing Haile Selassie on the other… you are just wearing a cool shirt with nice and appealing colors. Look at these pictures of Luis M: isn’t he looking great? 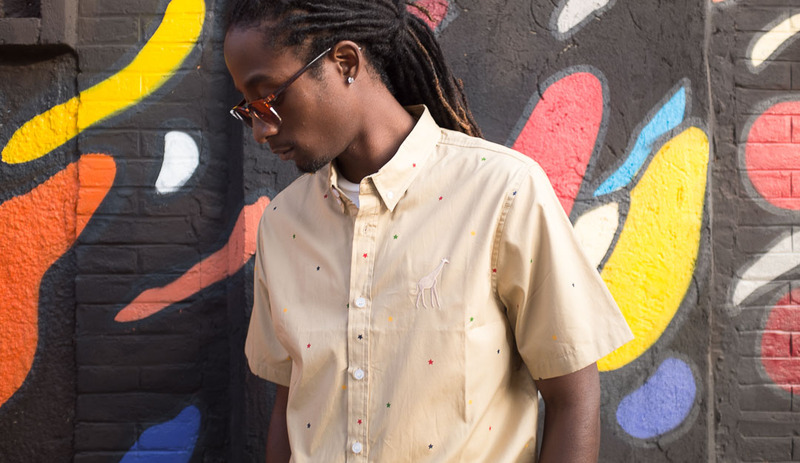 The relaxed fit of this Irie Sports SS Woven comes out in all its potential, with the embroidered giraffe on the chest in full effect. Is it me or does it remind of a world famous running horse with a jockey holding a polo bat? This animal represents for the Lifted Research Group a viewpoint higher than the rest, hence the tight reference with the “lifted” point of its acronym. 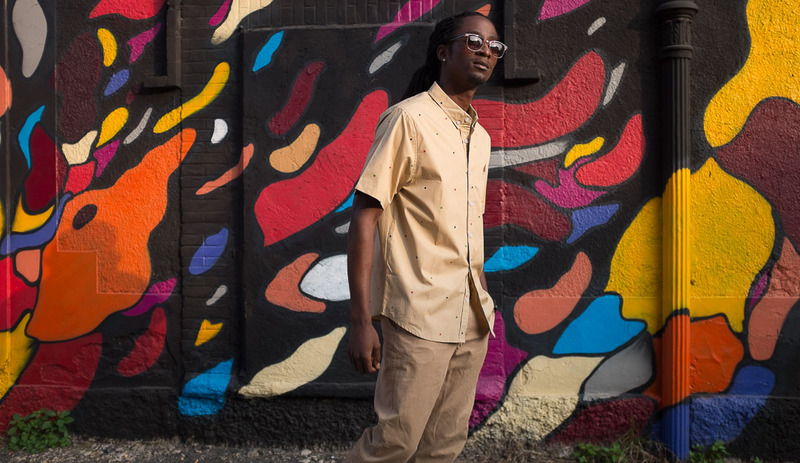 It’s safe to say that LRG is developing thanks to its designer Nick Bower, whose stellar background in California street / surf wear industry is major, into something bigger than you may think. This is just a teaser, you will understand what I am talking about when the Spring Summer 19 movie, ops… collection, drops.